JUNEAU — The Alaska Senate on Thursday moved to drain $50 million from an account used for the state's massive natural gas pipeline project, diverting the cash to programs popular across the political spectrum. 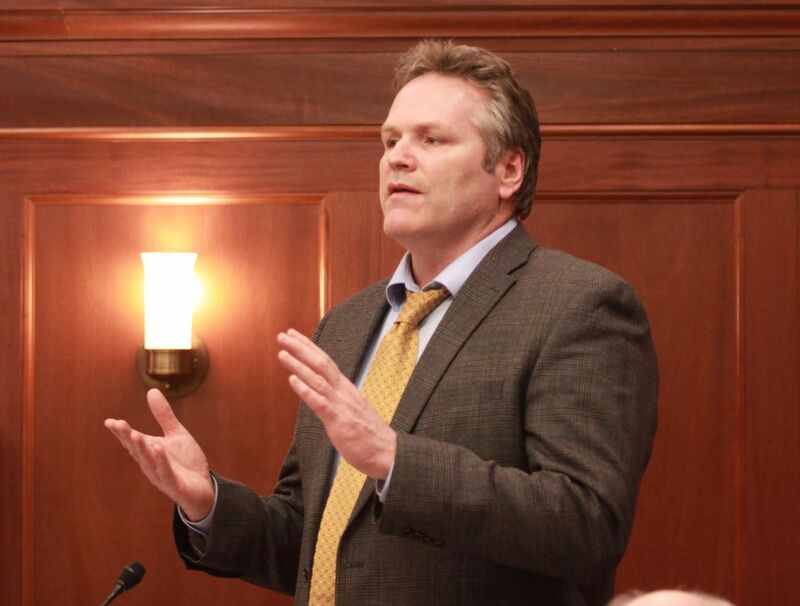 The amendment to the state capital budget — from Wasilla Republican Sen. Mike Dunleavy — was approved unanimously and without discussion. If the state House agrees, the pipeline cash would bolster programs supported by both the Senate's Democratic minority and its Republican-led majority. The amendment would send $10 million to the Alaska Department of Public Safety to hire more state troopers. The department budget has been cut 7 percent over the past four years amid the state's budget crisis. Another $5 million would help the Department of Law hire more prosecutors, whose ranks have fallen by more than 20 in the past three years. And $10 million would go to the transportation department for road maintenance, after spending cuts and a snowy winter set off an avalanche of complaints about snowplowing earlier this year. The remaining $25 million would go into a state account earmarked for education — though because of the way the account is managed, there wouldn't be an immediate, corresponding boost to schools spending. The Senate is already proposing to cut state school spending by nearly 6 percent. Dunleavy, who split with the Senate majority earlier this year over a budget he said was too big, denied that his amendment would increase government spending — even as he said it would use cash that the pipeline project isn't planning to spend. "There's still enough money in that pipeline fund to get them where they need to go," Dunleavy said in a brief interview. "It's shifting $50 million from that fund for priorities." The agency leading the pipeline project, the Alaska Gasline Development Corp., started the year with about $110 million in its accounts, which it has described as enough to last until the end of the next fiscal year, June 30, 2018. The capital budget approved Thursday by the Senate also runs through June 2018. AGDC officials didn't grant a request for an interview Thursday about the effects of losing $50 million, but the agency sent a prepared statement in which it suggested that reducing the budget sends the wrong signal to the natural gas market. "Now is the time to send a strong message that Alaska is united on this project that will generate thousands of much needed jobs for Alaskans and boost our struggling economy," said the statement, attributed to AGDC president Keith Meyer. A spokeswoman for Gov. Bill Walker, one of the project's chief boosters, declined to comment. The corporation last month formally applied to the Federal Energy Regulatory Commission for permission to build the pipeline, expected to cost as much as $45 billion. Walker's administration and AGDC have been courting natural gas customers, though the project has also been facing headwinds in the form of low oil and gas prices. One Senate majority leader, Eagle River Republican Anna MacKinnon, said in a brief interview that she didn't think the transfer would slow the pipeline project. But she also acknowledged that Meyer, the head of the gas line corporation, had told her his agency needed the $50 million. The transfer won't take place without agreement from the House, whose largely Democratic majority has been more enthusiastic about the pipeline project and is closer to Walker. House Finance Committee co-chair Paul Seaton, R-Homer, said he was open to a discussion about using pipeline money for prosecutors, roads and troopers. But he added that he'd want to understand how such a move would affect the project. "I know there's a lot of discontent in the entire building over the progress of AKLNG," he said, referring to the pipeline, the last remaining big state-supported economic development project. The overall capital budget, which also includes supplemental sections to cover overruns in the current fiscal year, passed along caucus lines, 13-5. 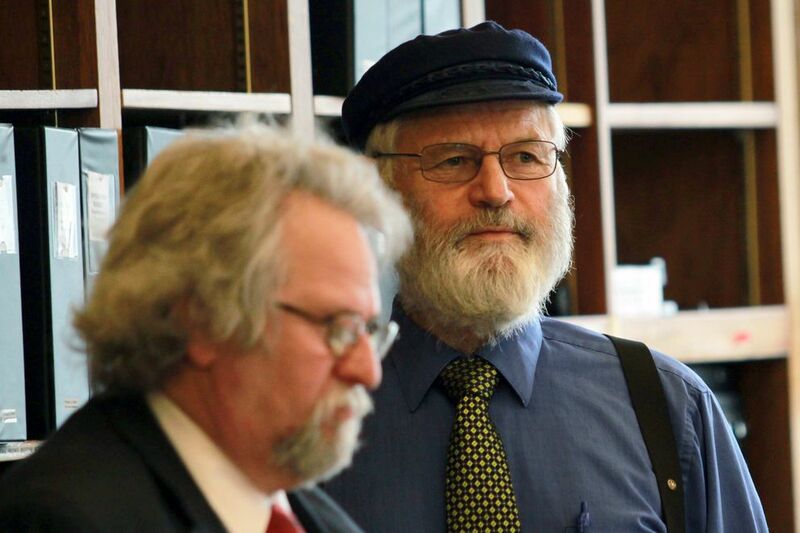 Dunleavy and Sitka Republican Sen. Bert Stedman were absent for the vote, having left the floor session early. The Republican-led majority rejected a slew of amendments from the Democratic minority. One, from Anchorage Democratic Sen. Bill Wielechowski, would have cut $288 million that the majority wants set aside for cash subsidies for oil companies. Wielechowski also proposed restoring a $6.5 million cut the majority has proposed for Pioneer Homes, which house senior citizens. The cut — which the majority had asked Walker's administration to spread across other state health department programs — drew enormous backlash, forcing an apology from Senate leaders and a promise that senior citizens would be protected. Nonetheless, the majority voted against Wielechowski's amendment, with Bethel Sen. Lyman Hoffman — the lone Democrat in the majority and co-chair of the finance committee — calling it "showboating." The majority has already promised to restore the money when it meets with the House in a conference committee to resolve differences over their respective operating budget proposals, Hoffman said. "It's going to be addressed in the conference committee," Hoffman said.